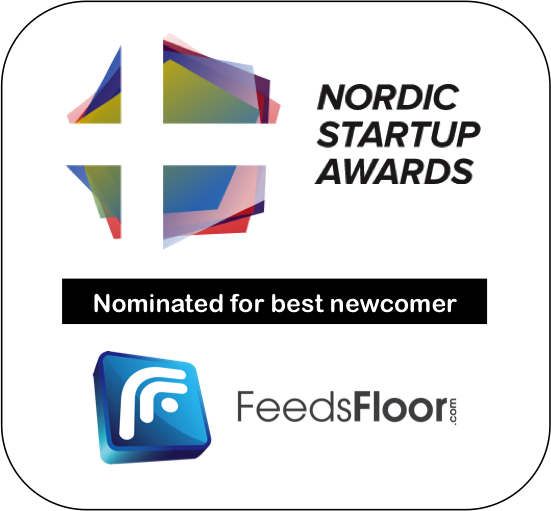 We are super excited and happy to be nominated for best newcomer at Nordic Startup Awards 2017. The public voting begins July 18, 2017, and we hope for all of your support. However, we are euphoric about just to be nominated after less than 3 months in the market with our brand new platform. FeedsFloor is the world's first self-service online EXPO platform. This means that now anyone person, company or organization can host their own EXPO online for free at FeedsFloor.com and invite exhibitors and visitors. Everything is super easy and with a social media feeling. With 1 profile exhibitors can exhibit in as many EXPOs as they want, and when an EXPO is LIVE, exhibitors can chat and engage with visitors in real time. Visitors can discover new companies or engage and chat with their favorite companies. Sign up today, it's free. See more at https://www.feedsfloor.com. "The aim with Nordic Startup Awards is to inspire, encourage and recognize entrepreneurship in the Nordic region. It happens not only by honouring the most successful startups, but by focusing on the entire environment - from the investors and journalists to the founders and developers. Nordic Startup Awards honours the most successful startups from Denmark, Sweden, Norway, Finland and Iceland for the third time. The first time was in 2012. At the grand finale show the winning startups from each country will compete in 14 categories.